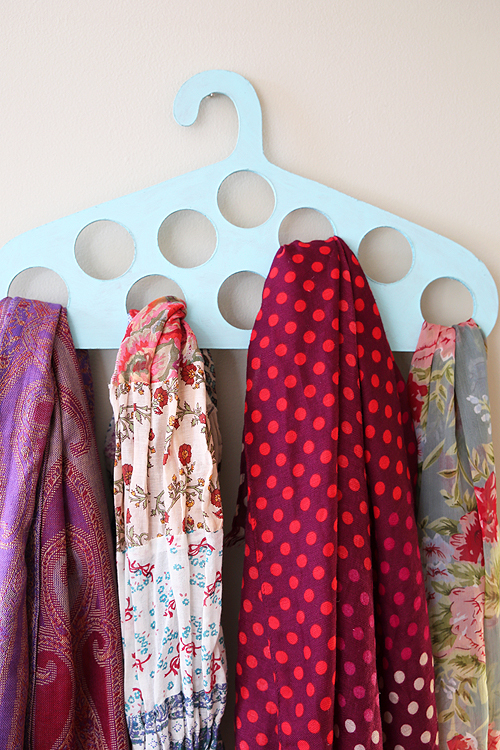 This DIY scarf hanger is the perfect organization solution for all your scarves! 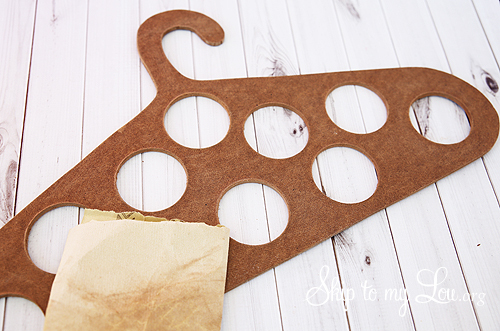 So if one of your New Year’s Resolutions was to get organized here is a simple DIY project. 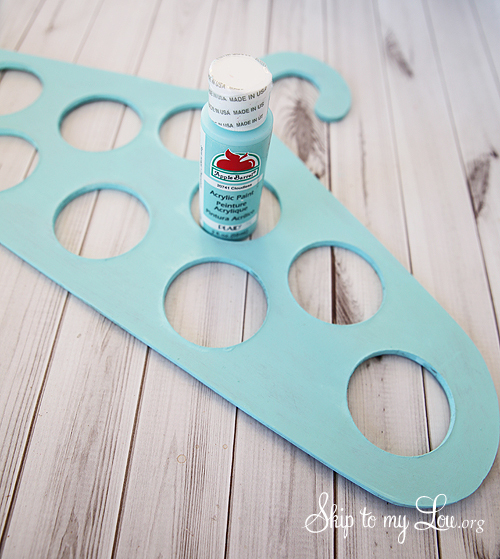 All you need is a jig saw or band saw, a piece of 3/8″ masonite, a 1.5 inch hole saw, paint and paint brush. Download the template, print (with no scaling) and fasten the three pages together. 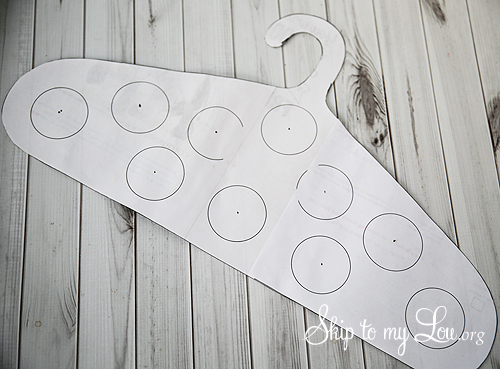 Next cut out the hanger shape from the paper. Lay it on the masonite and draw around. With a tac or sharp object mark the center of each hole, piercing through the paper and into the masonite. 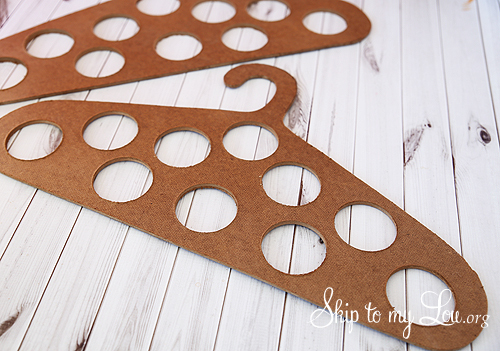 Cut out the hanger shape using a jig or band saw. Next cut out the holes. To get a smooth cut, place the masonite on a piece of scrap lumber and drill through the masonite and just into the scrap. Lightly sand the edges with fine sandpaper. Wipe of any dust and then paint with acrylic paint. Give two or three coats, drying and lightly sanding between each coat. 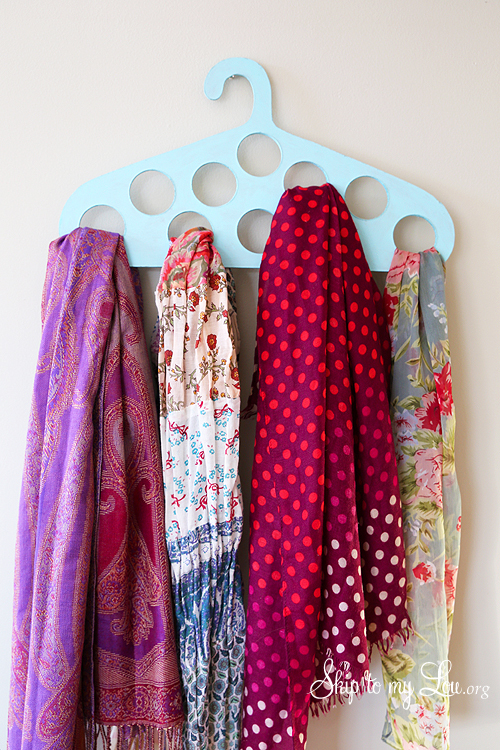 Now you are ready to hang your new scarf hanger in your closet and beautifully arrange your scarves! Lowe’s is the perfect place to find supplies so you can organize your life! For great ideas and loads of inspiration sign up for their FREE Creative Ideas Magazine. You can also follow Lowe’s on Facebook for more ideas. Wow! This has been helpful, it's the power of handmade crafts that help us come with such unique items. I love it! Where do you find the template at? Thanks for this! I have been meaning to buy one but I have all the materials to make my own! Mallie, I have one I bought but scarves are bigger these days and the holes weren't big enough. This way you can make the holes the size you like! Thanks for commenting! Me too Ricki, I LOVE scarves! I hand to make more than one of these!.....and could use another!